Warp drives that let humans zip around other galaxies may no longer belong purely in the realm of science fiction. Nasa is believed to have been quietly testing a revolutionary new method of space travel that could one day allow humans to travel at speeds faster than light. According to classical physics, this should be impossible because it violates the law of conservation of momentum. 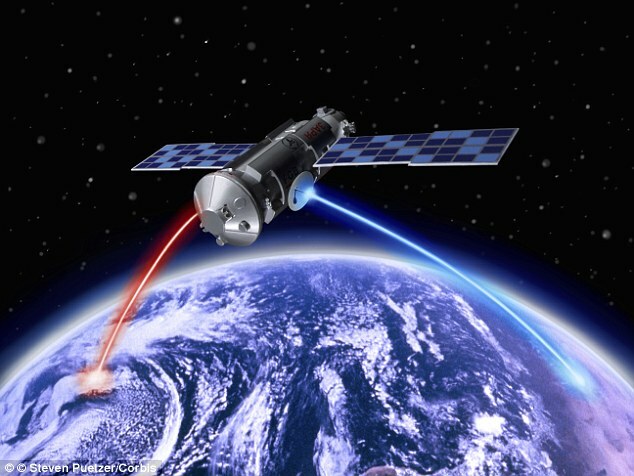 Researchers from the US, UK and China have demonstrated EMDrive over the past few decades, but their results have been controversial as no one has been exactly sure how it works. 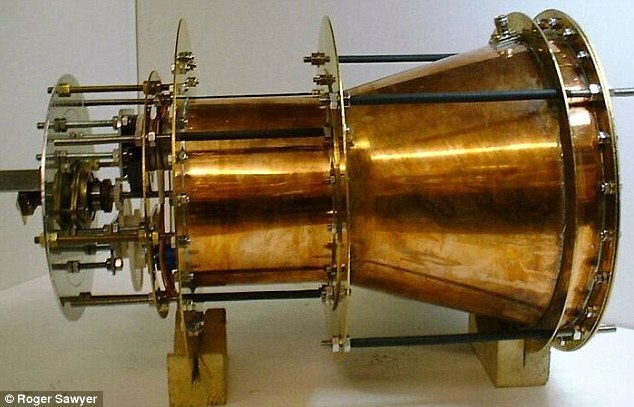 Now, Nasa has built an EMDrive that works in conditions like those in space, according to users on forum NasaSpaceFlight.com. A number of those discussing the plan on the technical forum claim to be Nasa engineers who are involved in the project. The concept of an EmDrive engine is relatively simple. It provides thrust to a spacecraft by bouncing microwaves around in a closed container. HOW DOES AN EMDRIVE WORK? Researchers previously believed this wouldn’t work in the vacuum of space, but Nasa has allegedly shown otherwise. Last year, Pennsylvania-based scientist Guido Fetta and his team at Nasa Eagleworks published a paper that demonstrates that a similar engine works on the same principles. Their model, dubbed Cannae Drive, produces much less thrust at 30 to 50 micronewtons – less than a thousandth of the output of some relatively low-powered ion thrusters used today. On the NasaSpaceFlight.com, those allegedly involved in the project claim that the reason previous EmDrive models were criticised were that none of the tests had been carried out in a vacuum. Physics says particles in the quantum vacuum cannot be ionised, so therefore you cannot push against it. But Nasa’s latest test is claimed to have shown otherwise. ‘Nasa has successfully tested their EmDrive in a hard vacuum – the first time any organisation has reported such a successful test,’ the researchers wrote. However, Nasa’s official site says that: ‘There are many ‘absurd’ theories that have become reality over the years of scientific research. ‘But for the near future, warp drive remains a dream,’ in a post updated last month. The Nasa test has yet to be peer-reviewed and the space agency did not immediately respond to DailyMail.com for comment.